Czarface and MF DOOM drop a surprise EP. 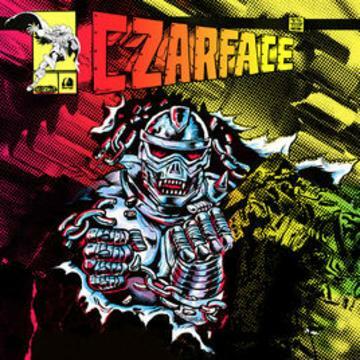 Hip-hop supergroup Czarface already teamed up with rap supervillain MF DOOM in the past for their CZARFACE Meets Metal Face album, which came out back in March. However, the combination birthed a second collaboration, the Man's Worst Enemy EP. While the record was originally a Record Store Day exclusive, it's only appeared online yesterday. The project is short, less than ten minutes short, with only four tracks on the EP. Additionally, only one song actually contains raps, and it's a remix to their previous single, "Meddle With Metal." However, that's no reason to discount the tape entirely. An EP with cool MF DOOM style instrumentals is still interesting enough to listen to on its own, and could be worth pulling out if you ever find yourself in an impromptu freestyle cypher.